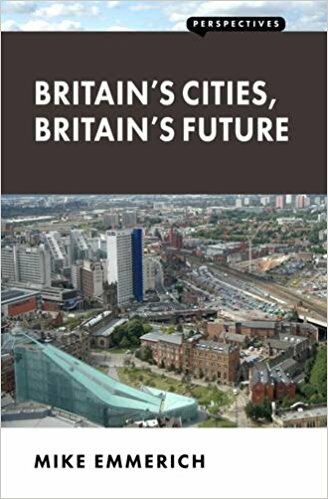 In Britain’s Cities, Britain’s Future, Mike Emmerich interrogates the long decline of UK cities since their nineteenth-century pomp and suggests policies that could ensure a future British ‘urban renaissance’. While the book gives insight into the latest thinking of those involved in UK urban policymaking, John Tomaney questions the extent to which the book contributes to understanding the real and pressing challenges currently facing UK cities. Britain’s Cities, Britain’s Future. Mike Emmerich. London Publishing Partnership. 2017. Mike Emmerich, along with Sir Howard Bernstein and others, is one of the architects of the British ‘urban renaissance’ and contemporary Manchester-inspired devolution to city regions. We know this because he tells us on the second page of the ambitiously titled Britain’s Cities, Britain’s Future. This book is a little more circumspect than Emmerich’s previous writings on Manchester, which have claimed that ‘Greater Manchester has been broadly successful in managing the transition to a post-industrial knowledge intensive economy. It has been able to capitalise on the positive agglomeration effects emanating from its size, density and diversity to reinvent itself and unlock this growth potential.’ (Full disclosure: I have contributed to recent research that questions this claim). Now, Emmerich acknowledges that ‘most of the UK’s cities remain economically and politically weak’ (1), and offers only ‘guarded optimism’ about the future (4). Elsewhere, though, he proclaims an ‘urban renaissance’ (x) attributable to structural shifts toward a service, consumption-dominated economy that favours urban agglomerations, and to devolution and smart metropolitan policies, many of which he designed in Manchester. There are two key elements to the argument presented in the book, which are used to support a set of policy proposals. The first concerns the economic development of UK cities. Emmerich attributes the nineteenth-century growth of British cities to a mixture of geography and climate that favoured textile production; the availability of cotton; surplus agricultural labour; the availability of capital (including from aristocratic sources); and technological innovation, often on small scale. He places special emphasis on the progressive role of the aristocracy and of the urban environment with its religious freedom and culture of self-improvement. The roots of decline are deep, however, and are linked to the waning of staple industries in the face of international competition, which Emmerich attributes to failures in education and training and low levels of capital investment. Later, industrial cities failed to capture the opportunities associated with new waves of technological change that benefitted London and smaller cities. London provides an exemplar, according to Emmerich: it began its recovery long before the financial services boom of the 1990s as a result of large investments in infrastructure. The lesson for other cities is that scale and ‘major transformational’ projects are therefore required. The second part of the analysis emphasises the political self-confidence of Victorian cities whose culture was one of Liberalism, non-conformism and scientific learning. John Bright and Richard Cobden are offered as personifications of the city; the working-class experience is largely undiscussed: ‘Manchester and other industrial cities were formed by business, with political governance catching up considerably later’ (73). Friedrich Engels’s The Condition of the Working Class in England (1845), perhaps the most famous book about Manchester, also does not get a mention. Emmerich notes that while public health problems stimulated the creation of local government, cities were slow to respond to this new opportunity, ceding their early autonomy to national government in ways that centralised power in London. Lacking strong institutions, British cities began their long decline. This failure is attributed to ‘British cultural snobbery’: an undefined and peculiar concept on which to rest decisive explanatory power. Emmerich’s policy agenda for today’s cities is often sensible but not necessarily new or radical. These include developing transport infrastructure, raising skills and providing appropriate sites, all of which require more devolution. Many are easy to agree with but are difficult to evaluate because of a lack of detailed examples of success and failure. There is an interesting case study of policies aimed at attracting textile investment back to Manchester, but this seems at odds with the rest of Emmerich’s analysis of urban growth. ‘geographers’ concern for distribution tends to come at the expense of a less convincing account of growth and how and where it can best be stimulated. Conversely, the economists have too little to say about the profound social consequences of their analysis, or the sustainability (or plausibility) of the implied growth model (49). As an aphorism this works well, but as an insight into contemporary debates occurring in economic geography about local and regional development, it is inadequate. Later, ‘the cry comes from protectionists and the left that we must protect national champions with financial support’ (117). This does an injustice to the sophisticated case for industrial policy developed by Dani Rodrik and Mariana Mazzucato. Again: ‘it is just not possible for a city like Birmingham to import directly the lessons of Barcelona or Copenhagen’ (5). Is it seriously being suggested that there are no lessons to be learned from elsewhere? For instance, given Emmerich proposes more development on the greenbelt, can we learn nothing from how Copenhagen has managed this process? The least convincing part of the book is the account of the decline of local government in the nineteenth century. Historians such as Jerry White have shown the brief heyday of local democracy occurred, in fact, from 1930-48 during which ‘whole spheres of public life were owned and managed locally that are now seen as entirely the province of national government or the private sector’. Oddly, Emmerich has nothing to say about this era. Emmerich offers only passing comment on rising social inequality. But the growth of inequality is plausibly linked to the economic models that are proffered as solutions to the problems of urban growth – city-centre, consumption-led development. The clearest expression of this was the geography of the Brexit referendum in which some larger provincial cities typically voted Remain, while their metropolitan hinterlands voted Leave. The citizen is another notable absence. Given the relationship between growing inequality and increasing political disenchantment, much more needs to be said here. Additional lacunae in a book about the future of British cities include the implications of an ageing population and the rising cost of social care which, alongside austerity, underpins the fiscal crisis of local government. The questions of climate change and the shift to a low carbon economy also lack attention. The book is marked by a tendency to deal only with evidence that supports its arguments or to use little at all. For instance, Philip McCann’s important work on the UK regional problem is not addressed. Given McCann’s starkly different assessment of regional economic conditions, it would have been valuable to have Emmerich’s perspective. Similarly, when he briefly addresses local democracy, he dismisses concerns that ‘metro mayors’ offer an impoverished form of accountability. However, an explanation of the relative advantages and disadvantages of different models of urban governance in an era of declining local election turnouts would be most welcome. Knowing remarks about Howard Bernstein (‘Mr or rather Sir Manchester’ ) give the reader the impression that they are intruding upon a self-referential debate among cognoscenti, adding an undertone of hubris to the book. As an insight into the thinking of a key protagonist in the UK urban policy scene, this book is useful. As a contribution to understanding the real challenges facing the UK’s cities, it is far less so.